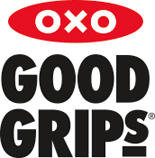 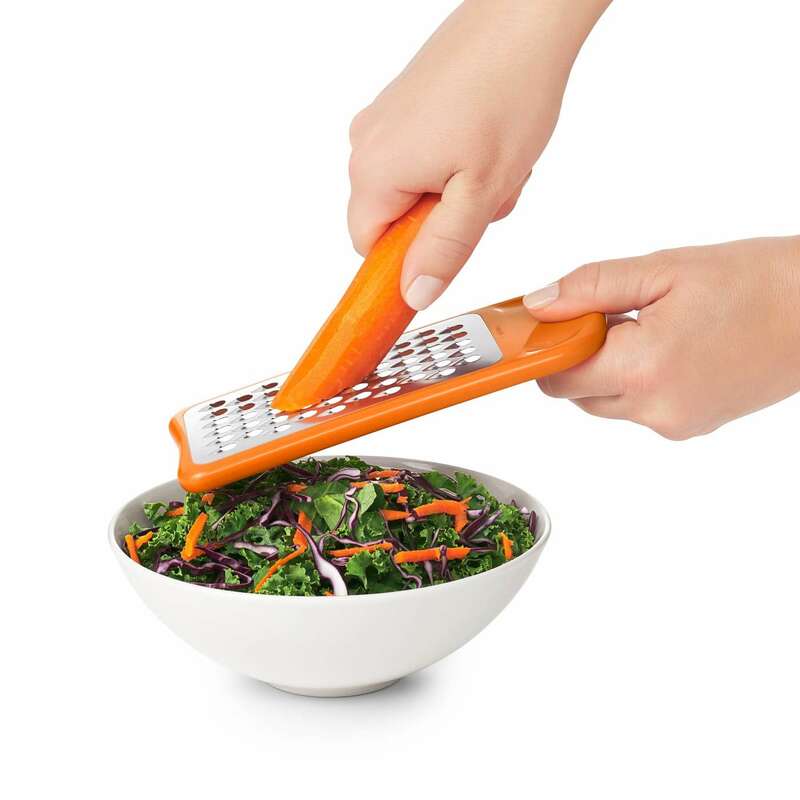 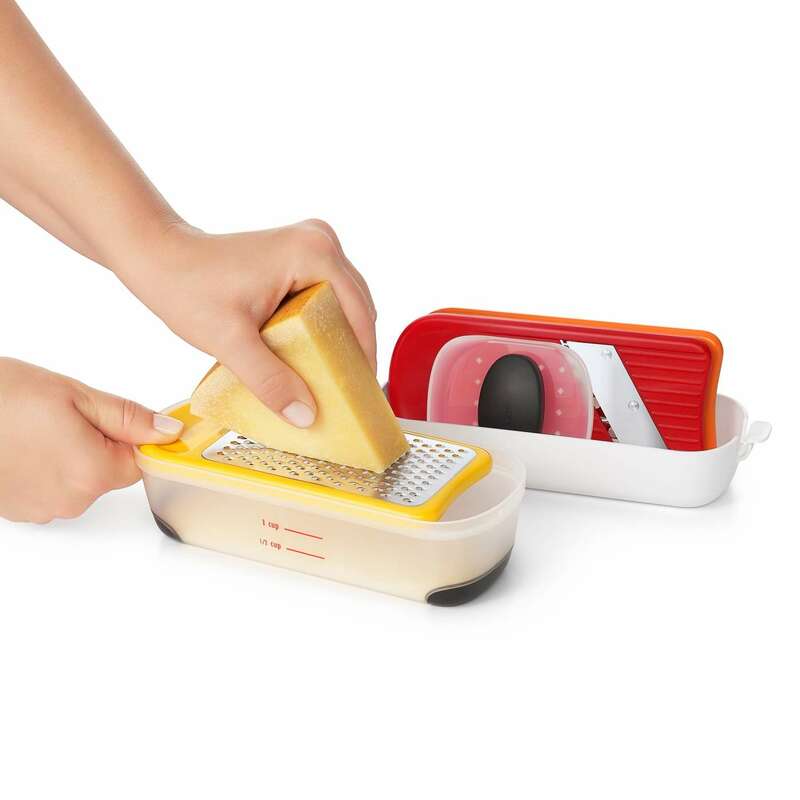 Prep meals in an instant with the OXO Good Grips Mini Grate & Slice Set. 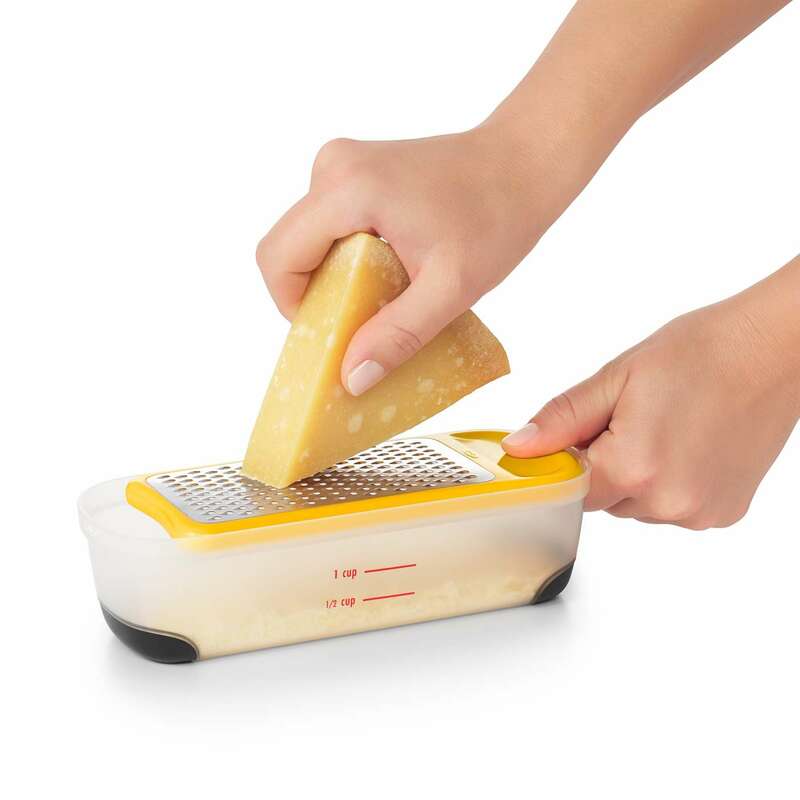 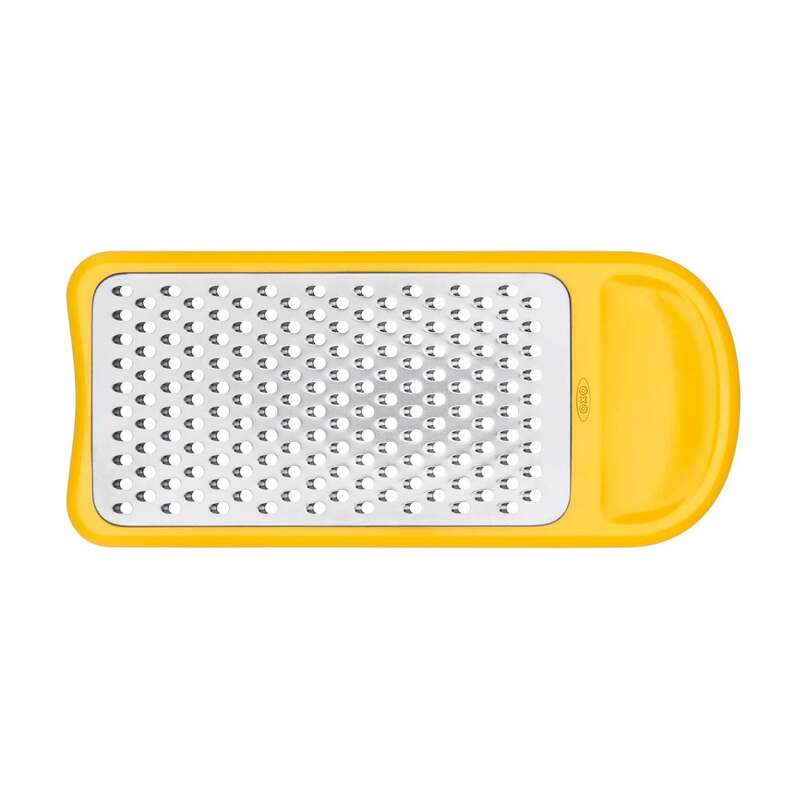 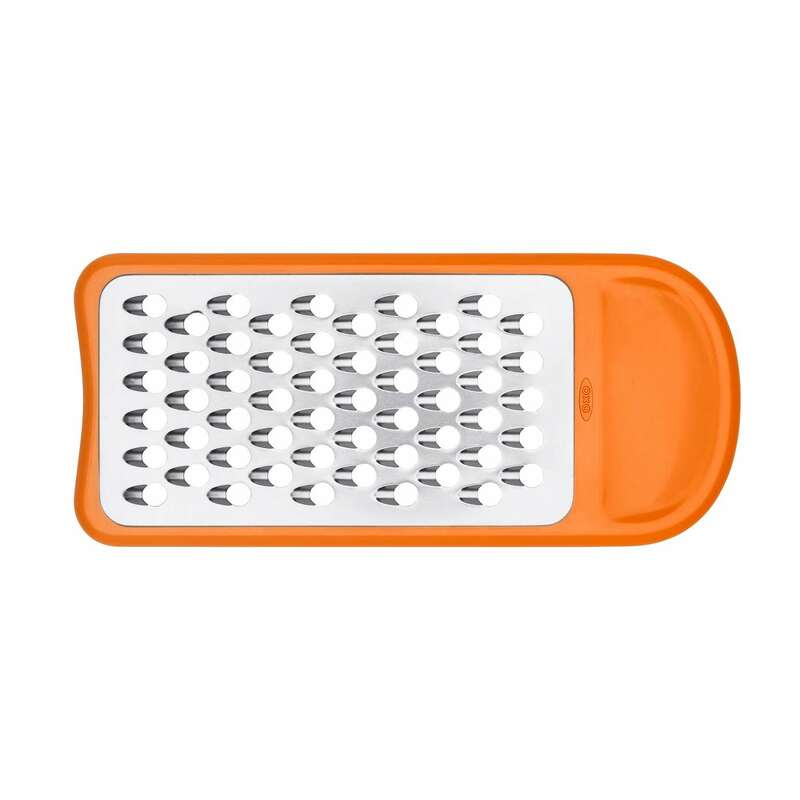 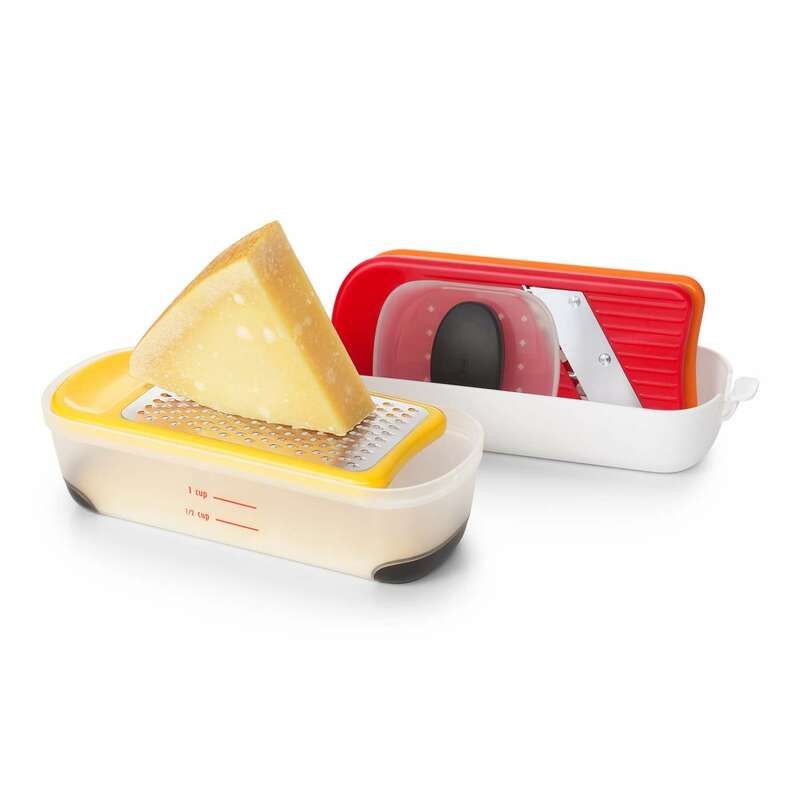 The compact set includes a medium grater, coarse grater and a slicer blade. 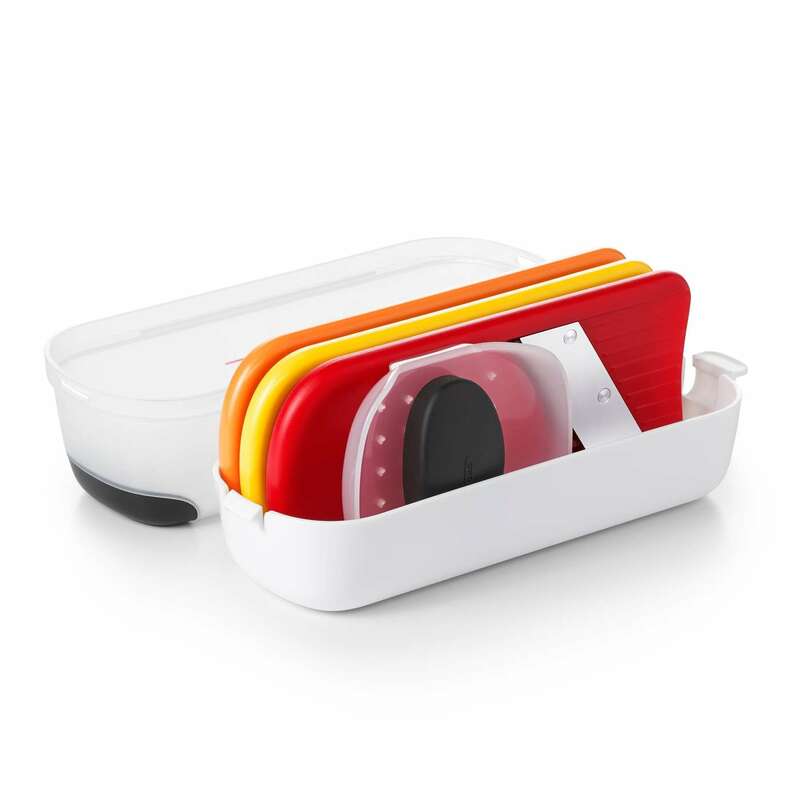 Each surface can be used over bowls and plates or place on top of the lid, which doubles as a container for collecting and measuring. 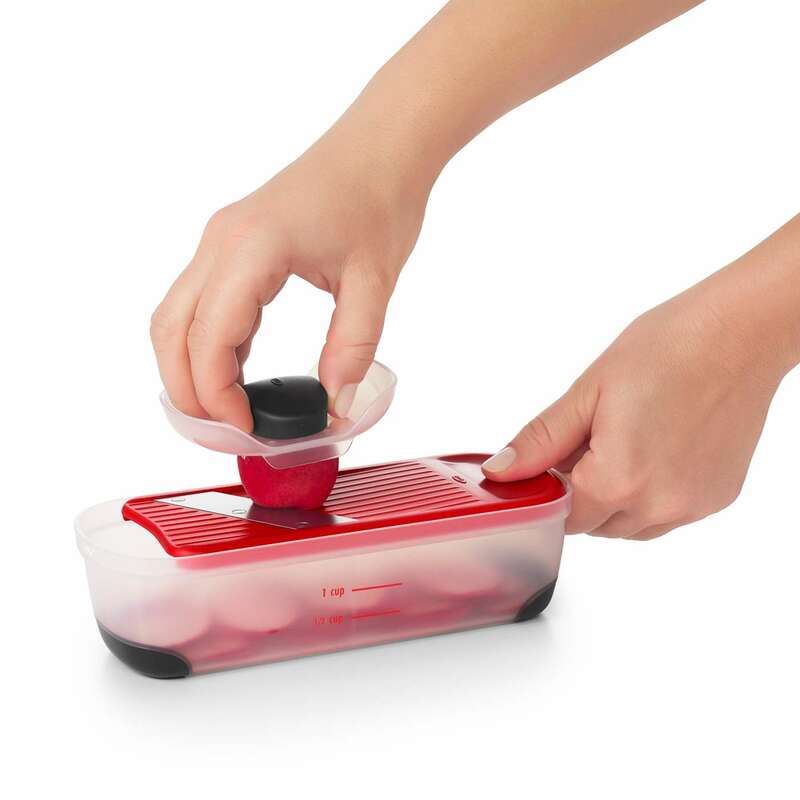 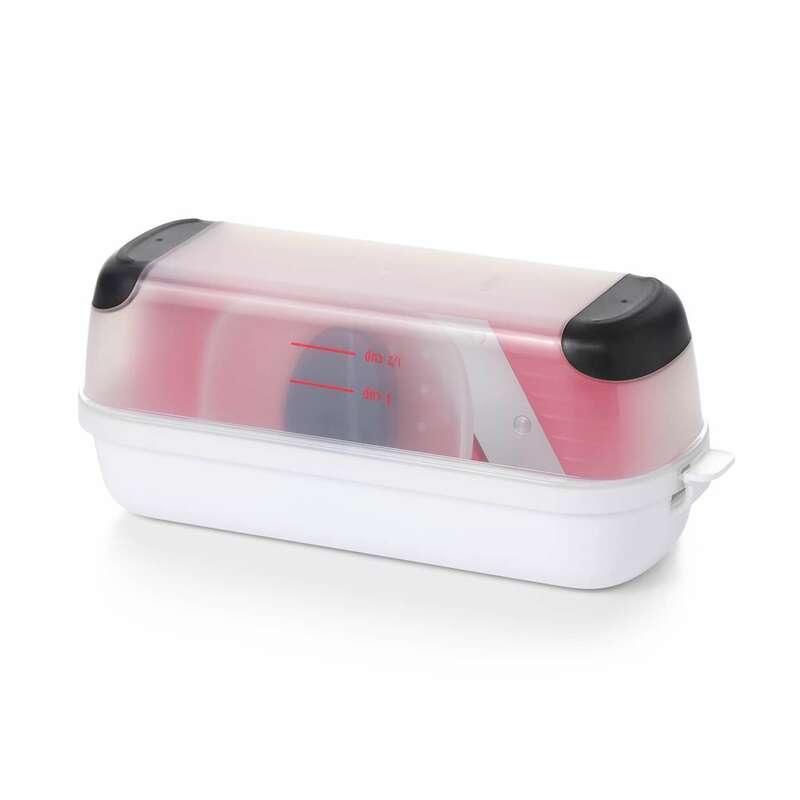 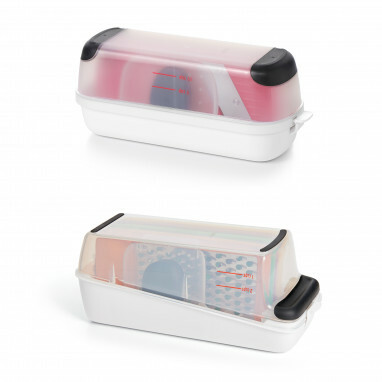 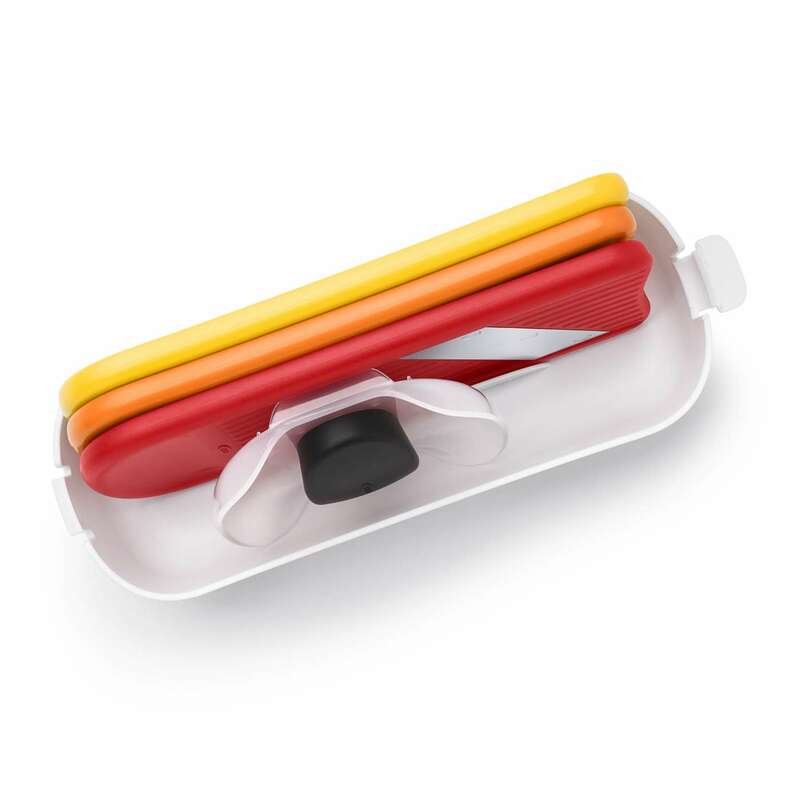 Non-slip feet keep the lid steady while you prep, and the full set fits together for safe storage.